Canada would be wise to join America in President Trump's decision to recognize Jerusalem as the capital of Israel, writes Munk Senior Fellow Shuvaloy Majumdar in the Toronto Sun. Only after a forbidden deed is done do we gain opportunity to question why it was so taboo in the first place. President Trump’s courageous decision to officially “recognize” Jerusalem as the capital of Israel, an acknowledgment of practical reality few countries have allowed themselves to publicly concede, provides such a moment. No historian would deny Jerusalem has been the centre of Jewish civilization for over three millennia, as ancient structures readily attest. No geographer would deny the city is the headquarters of Israel’s national government, including its parliament, supreme court, and prime minister’s residence. No diplomat would deny cities of this sort are intended to house the embassies of their allies. President Trump’s critics, who once enjoyed an unchallenged consensus on their side, are suddenly grasping. The truth has been laid bare that Israel is judged by a different standard than other nations. Since Israel’s modern founding in 1948, the world’s diplomatic establishments have largely encouraged the belief that it is a country less permanent than others, whose terms of existence are constantly re-litigated. It's a logic that strays dangerously close to anti-Zionism, and through it, anti-Semitism, but it's also a logic that has failed on its own terms. Israel has repeatedly repelled existential wars of aggression by its neighbours, proving beyond any doubt its capacity to defend itself, including its capital. In another age, such strength would be taken as sufficient proof of Israel’s permanence. Yet each time, the Jewish state is expected to sue for peace in the aftermath, granting concessions to its enemies and reinforcing notions that its survival is forever up for negotiation. Recognizing Jerusalem may be symbolic, but the symbolism is profound. While Trump conceded the “specific boundaries” of the city could be subject to future peace talks with the Palestinians — a reference to the popular belief that the Palestinian capital should be in east Jerusalem — his decision firmly declared one debate over: Jerusalem is Israel’s capital. Despite the warnings of some, stating the reality of Jerusalem does little to hamper negotiations over a future Palestinian state. If anything, it clarifies the terms of an earnest new beginning. We are hopefully finally putting to bed tired notions that peace between Israelis and Palestinians cannot be built on Israel’s legitimacy. The perennially dysfunctional Palestinian government and Palestinian terrorism are the most significant obstacles to reaching bilateral cooperation. As such, the future of the two-state dream rests squarely on the ability of Palestinian President Mahmoud Abbas to keep his house in order, and resume good faith negotiation with Israel. Had Abbas pursued building strong Palestinian institutions from the beginning, rather than chasing symbolic recognition at UN bodies, one can only imagine how much further along we'd be today. By every empirical measure, Trump's predecessor presided over an appalling record in the Mideast: an inanimate peace process, an emboldened Iran laying waste to Syria, appeased sectarians and ostracized allies. That even Israeli security would be eventually forfeited by the departing American administration on UN Security Council Resolution 2334 — a one-sided condemnation of Israel’s settlement policy — marked a grim post-script that Canada should have denounced. A year later, the region is undergoing significant realignment. Rhetoric about Trump's decision from Arab capitals has been fairly restrained; they appear to have been well-consulted, and in any case, remain preoccupied with the more pressing threat of Iran’s hardening sectarian agenda. As facts on the ground change, the West needs to clearly stand alongside the Mideast's good actors as they unite against the bad, stating clearly our values and allying with those who share them. It's clear America has no intention of distancing itself from Israel, the nation that embodies the democratic, pluralistic values which represent the only true, long-term hope for peace in the region. Though many have framed Trump's recognition of Jerusalem as destined to alienate America’s fair-weather allies, in reality, ending ambiguity around Israel’s claim for a Jewish capital strengthens the resolve of those interested in peace. It's more likely to earn the long-term respect of others, as it makes clear the terms upon which America intends to exert its global leadership. The world is long overdue in recognizing Israeli legitimacy in Jerusalem. It is a cause Canada would be wise to join. 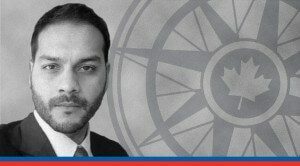 Shuvaloy Majumdar is Munk Senior Fellow at the Macdonald Laurier Institute and former Director of Policy to Canadian foreign ministers.